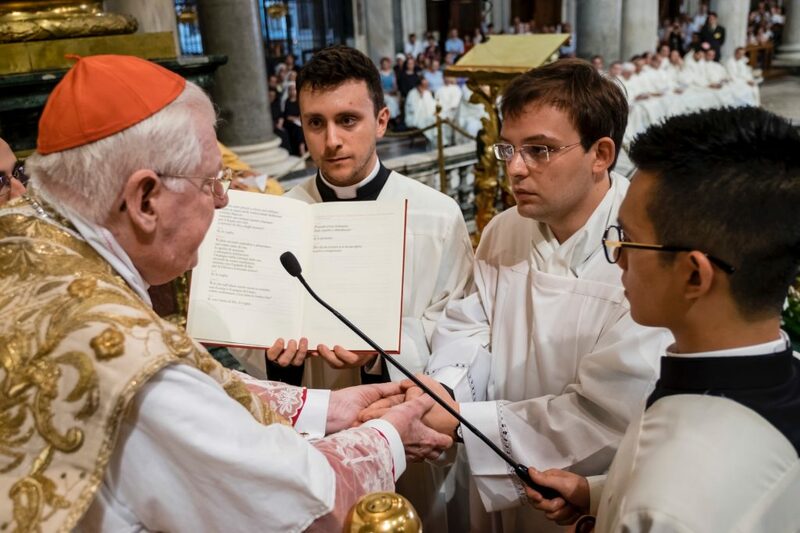 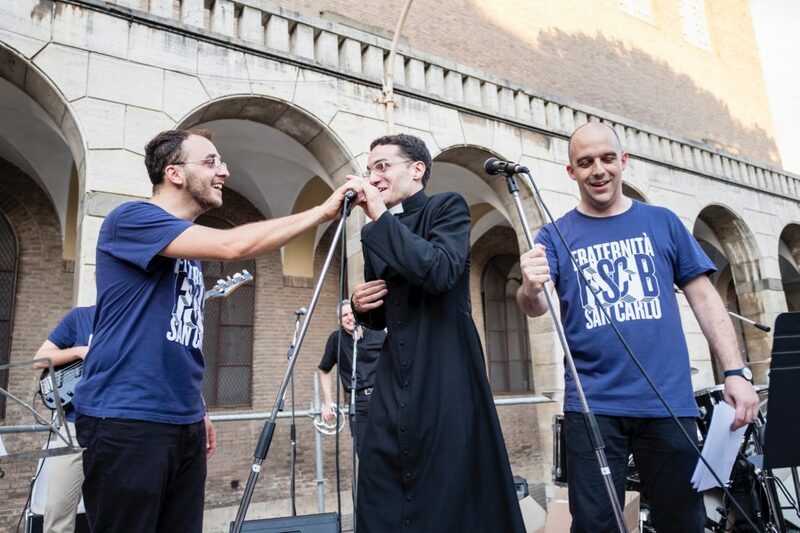 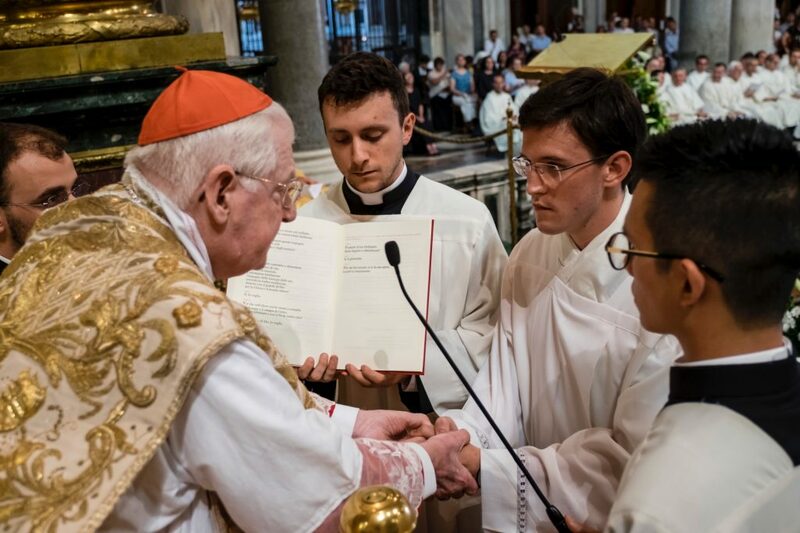 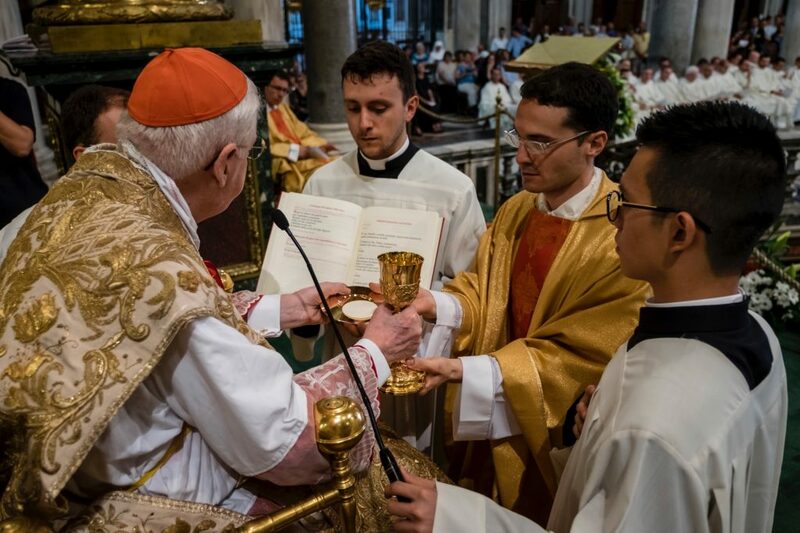 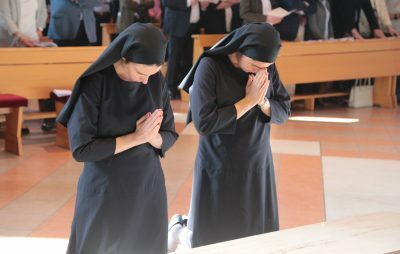 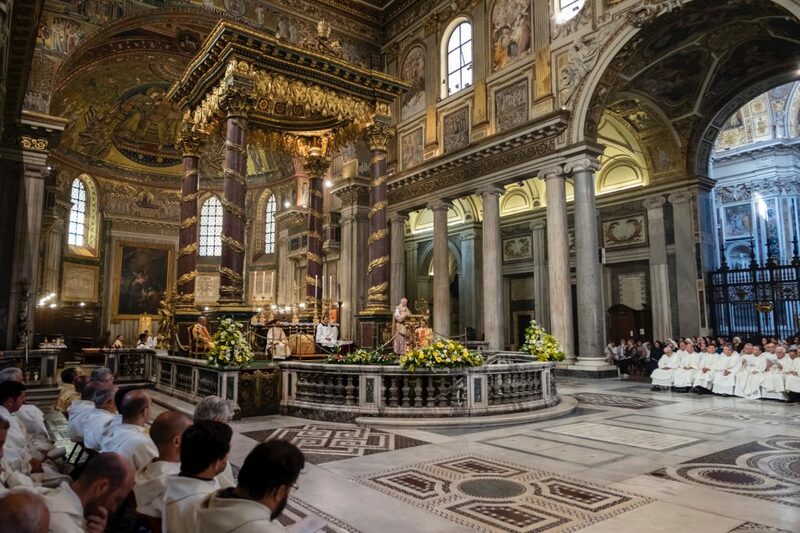 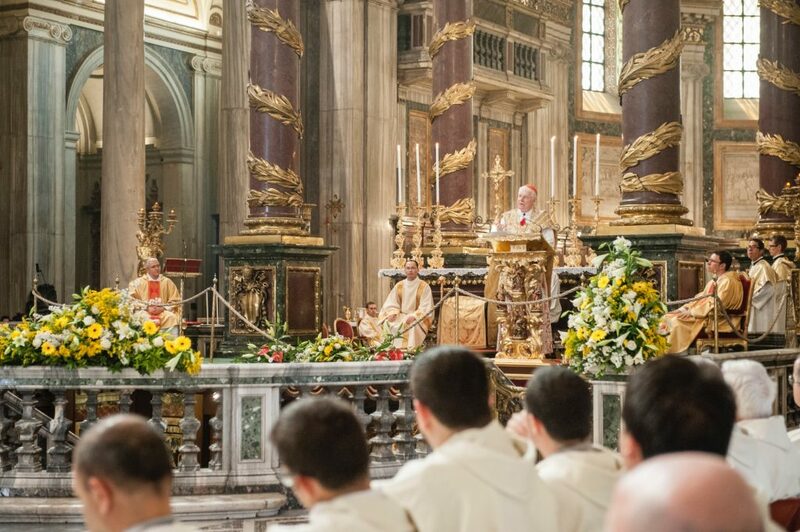 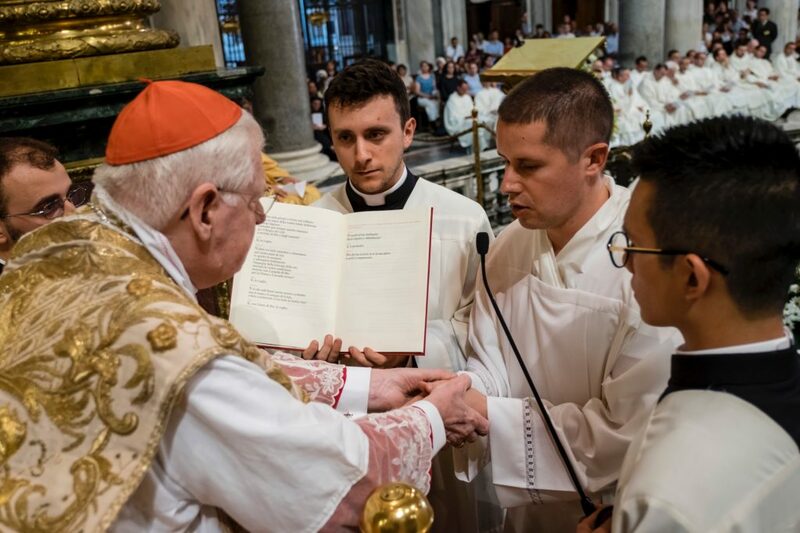 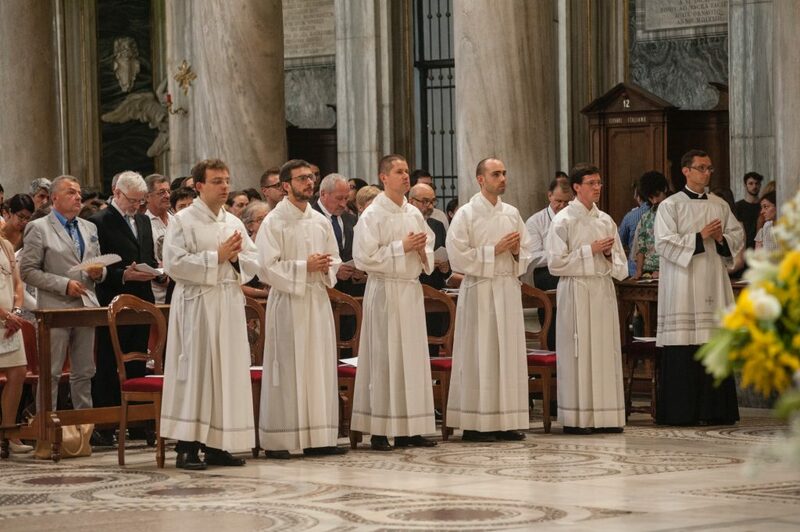 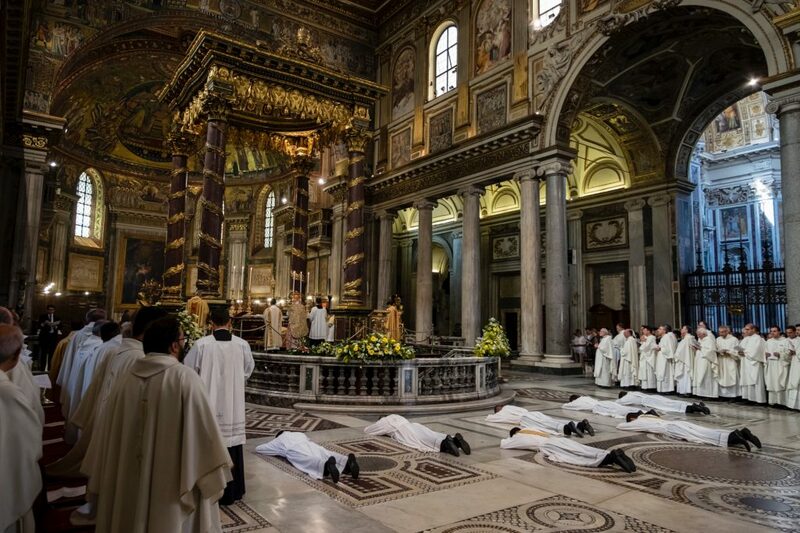 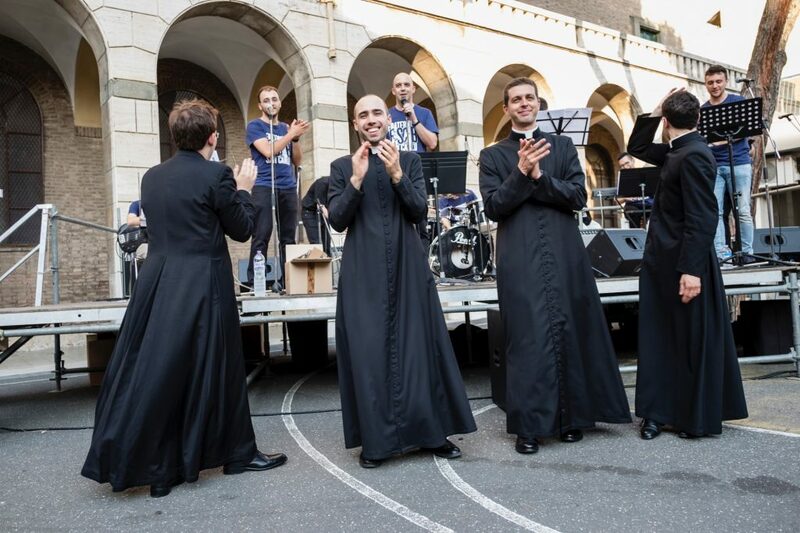 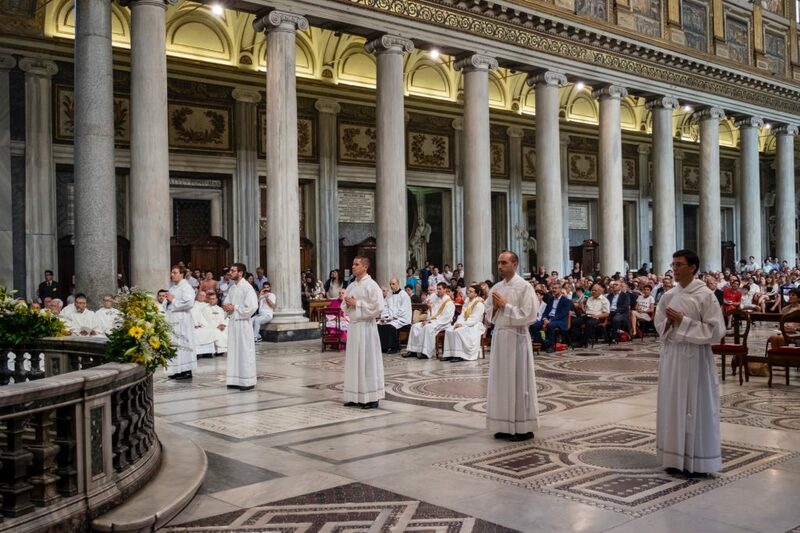 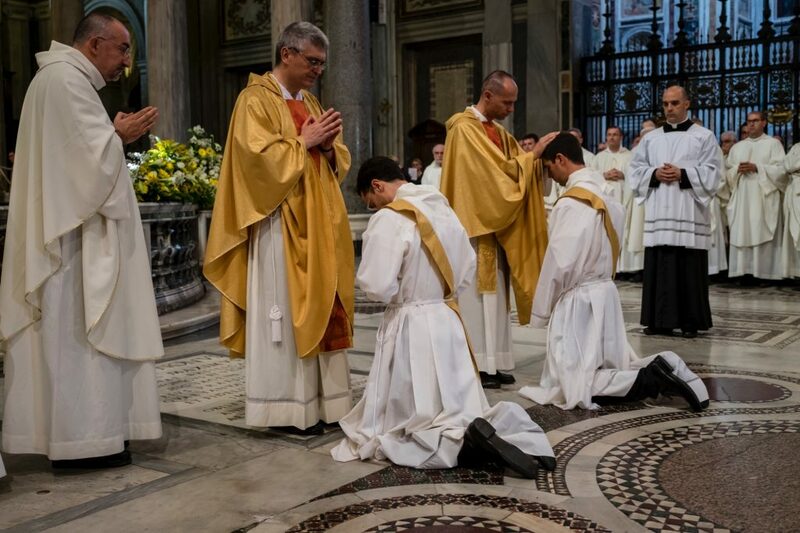 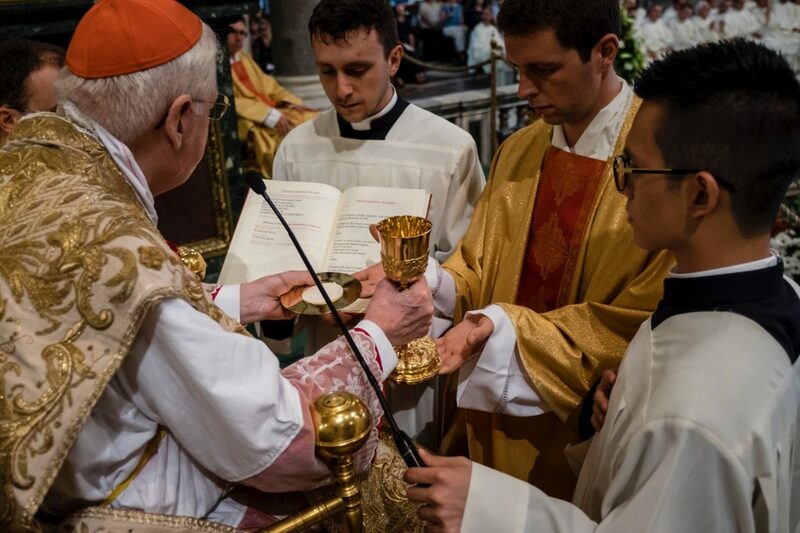 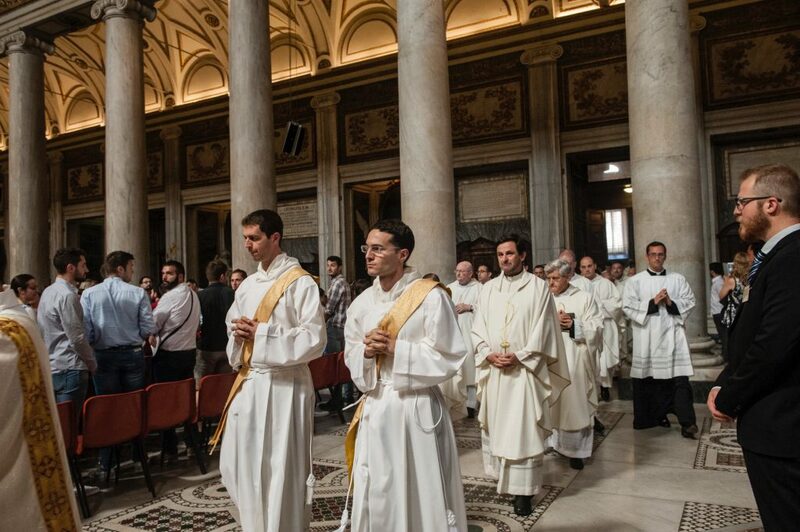 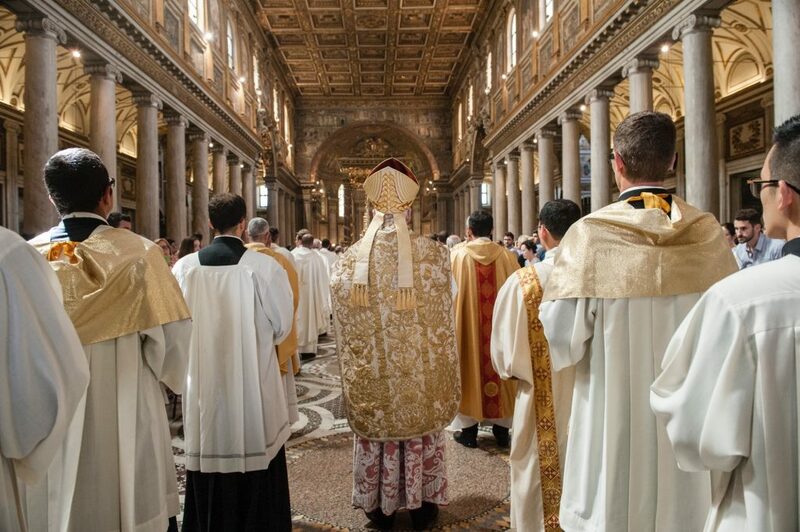 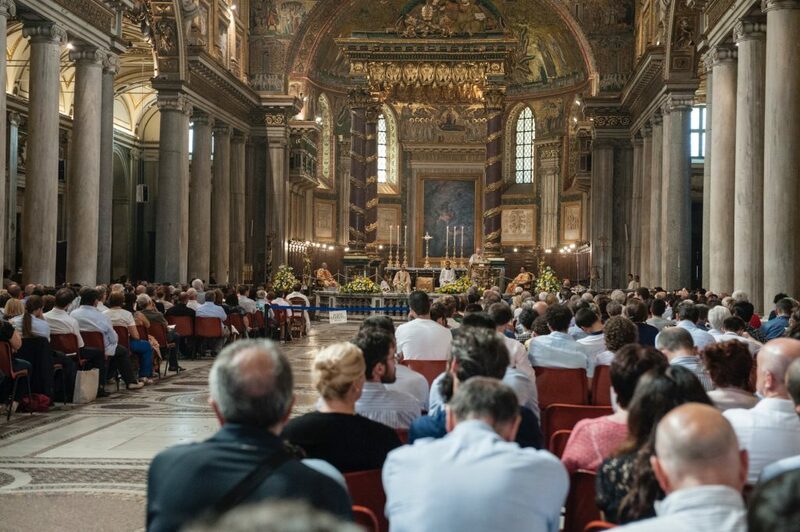 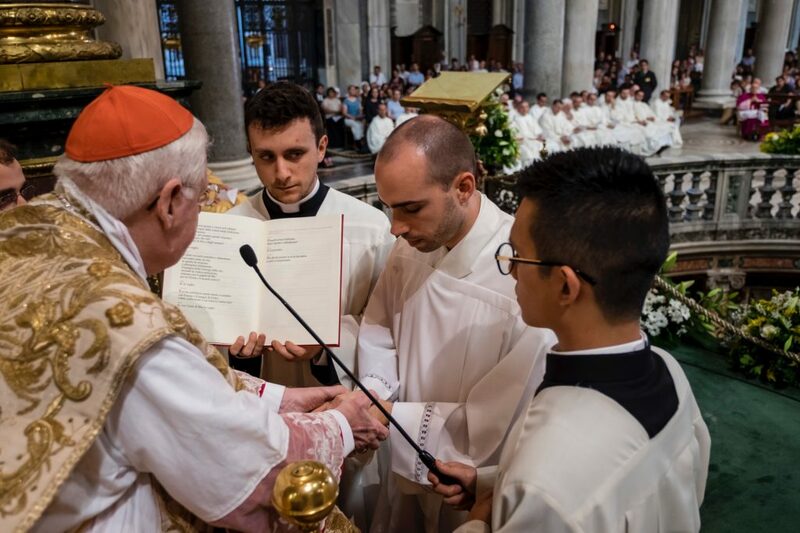 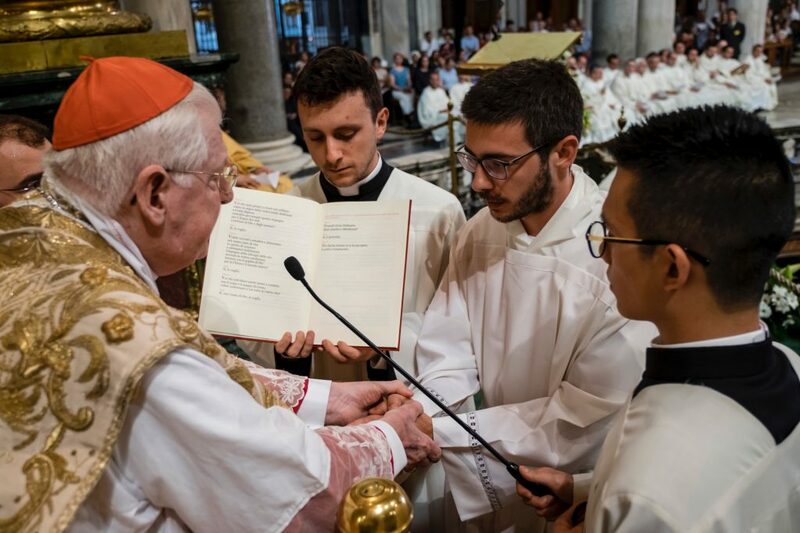 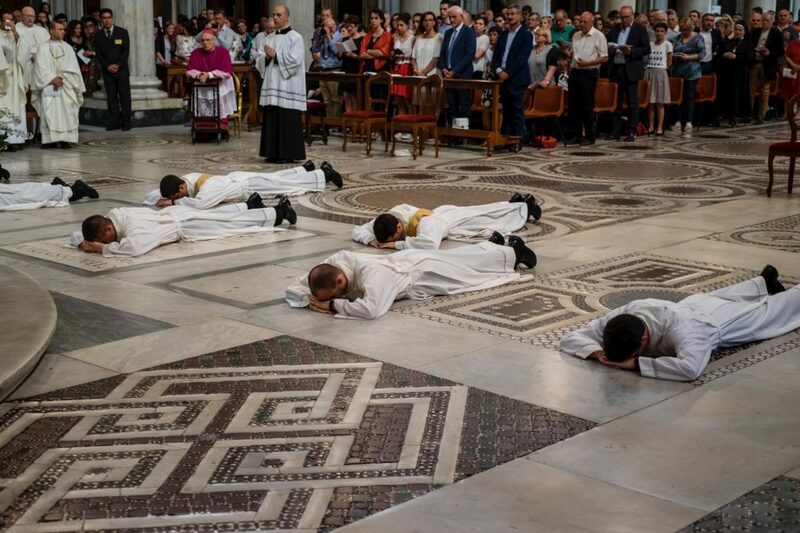 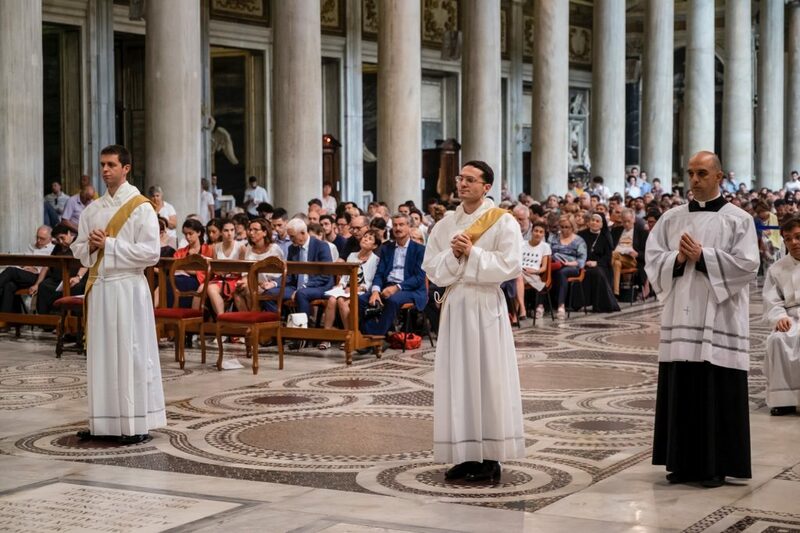 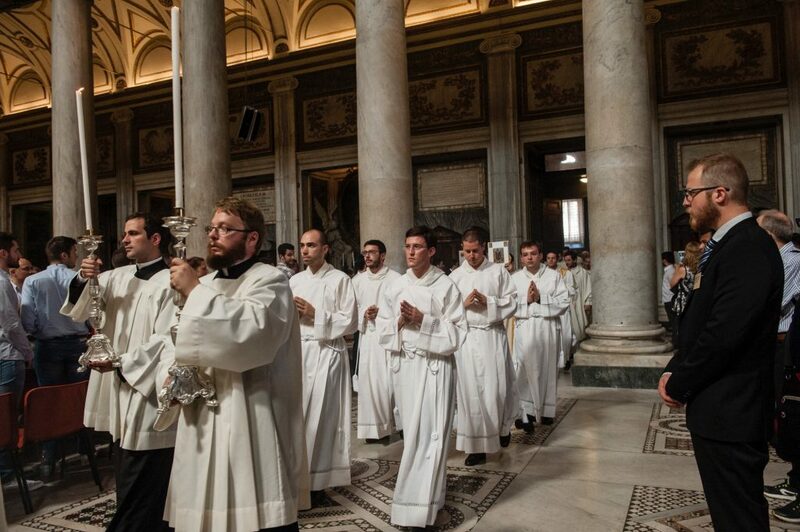 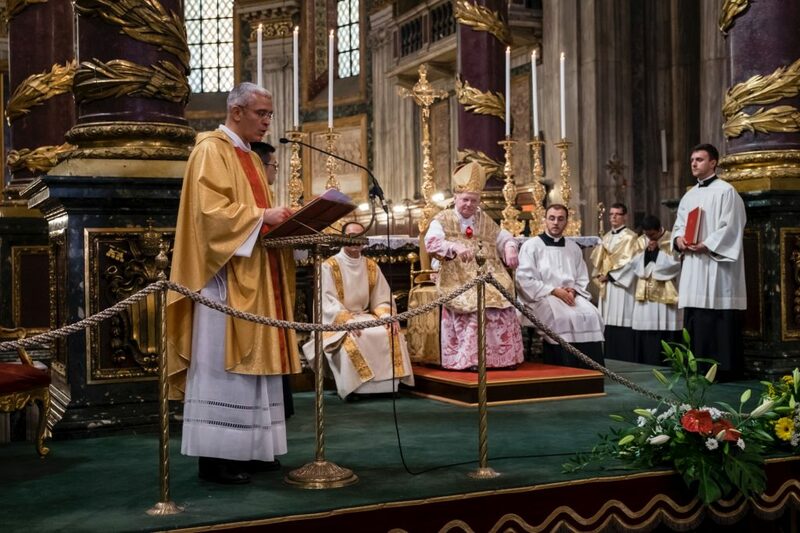 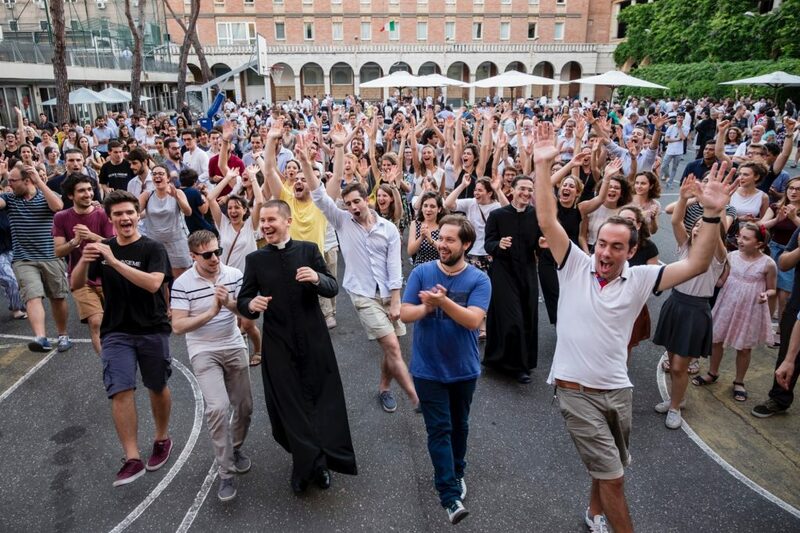 On Saturday, June the 24th, in the Basilica of St. Mary Major in Rome, the ordinations to the priesthood and to the diaconate of the Fraternity of St. Charles took place. 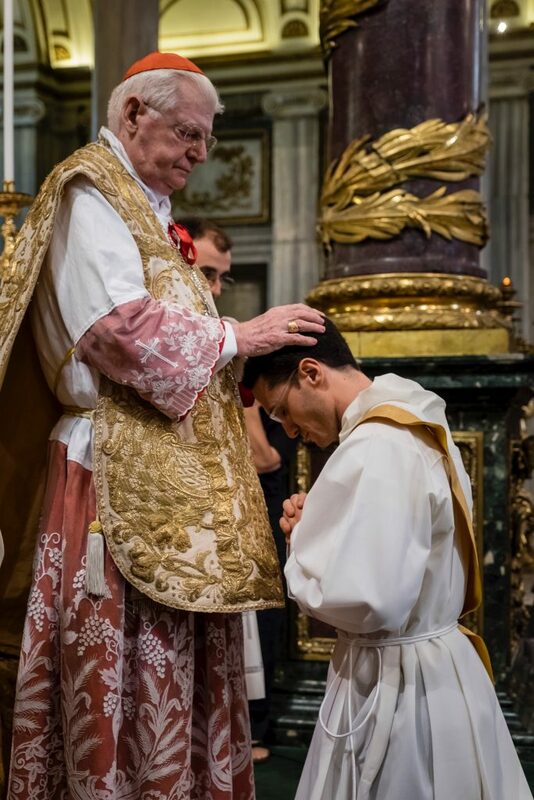 By the imposition of the hands of His Eminence Card. 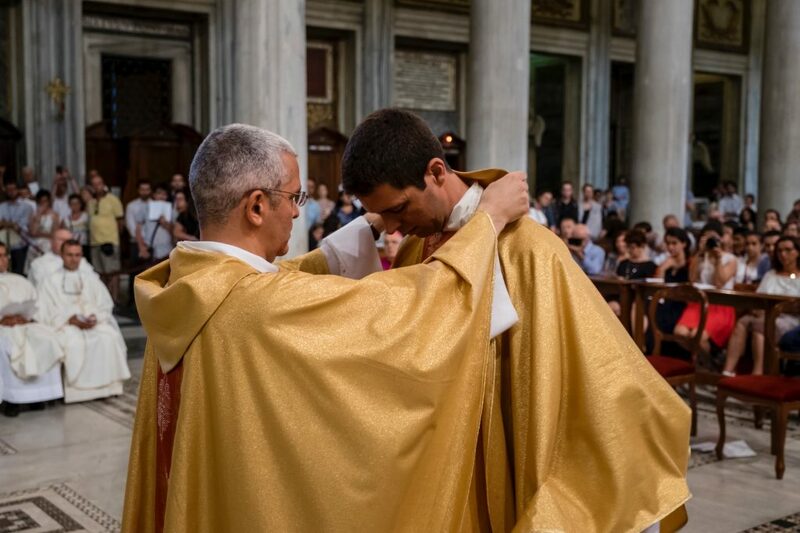 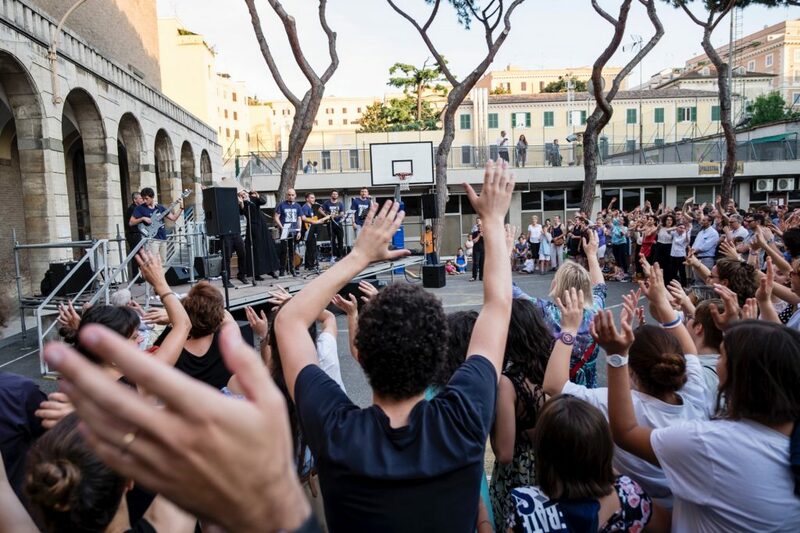 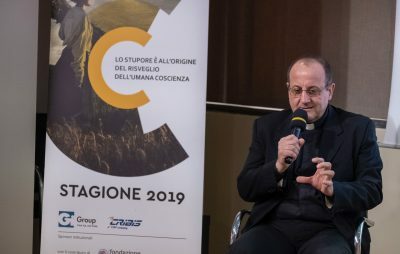 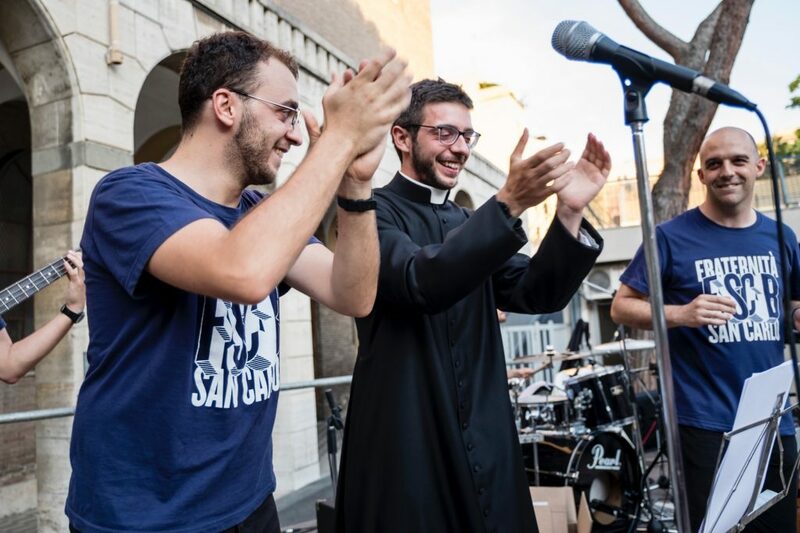 Angelo Scola, archbishop of Milan, two priests were ordained: Marco Vignolo, whose destination is Reggio Emilia, and Mattia Zuliani, who already has spent a year in his mission in Nairobi, Kenya. 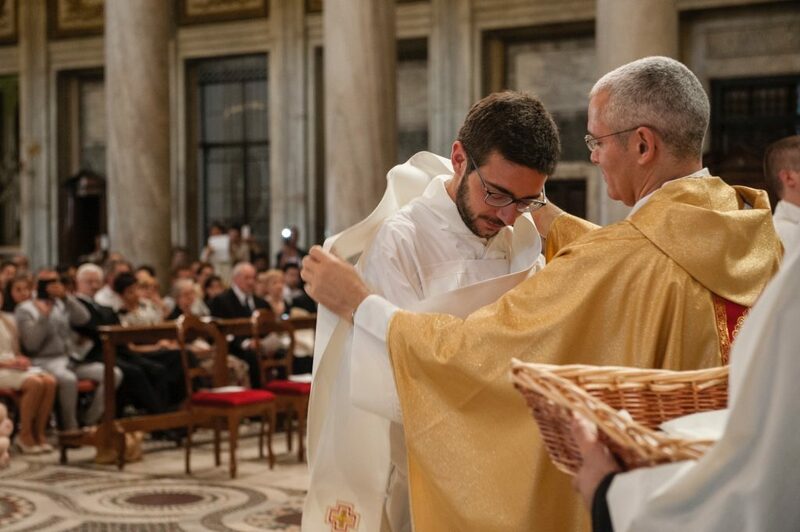 In addition, five deacons were ordained: Antonio Acevedo, Michele Baggi, Emanuele Fadini, Luca Montini and Patrick Valena. 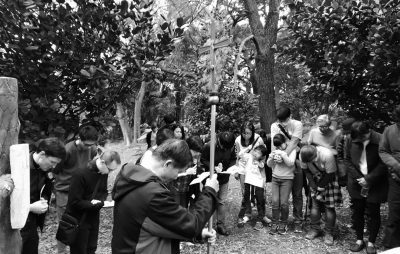 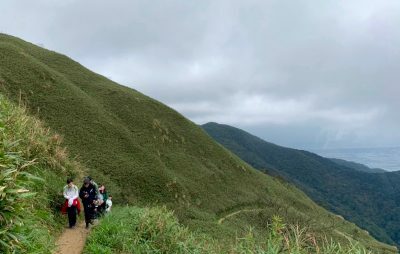 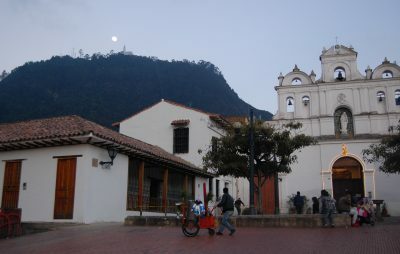 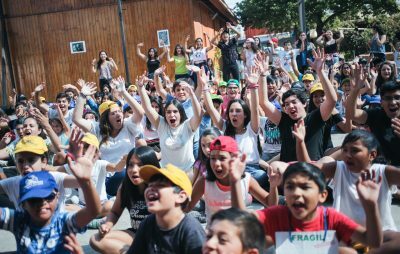 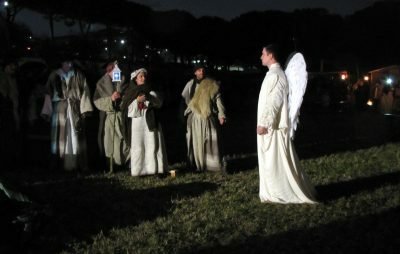 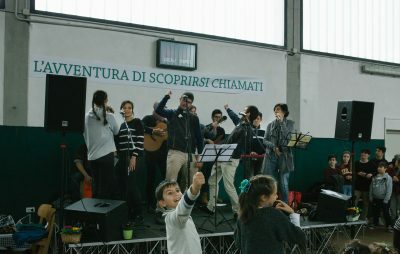 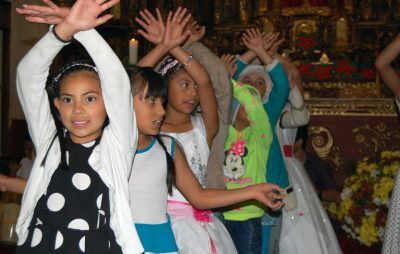 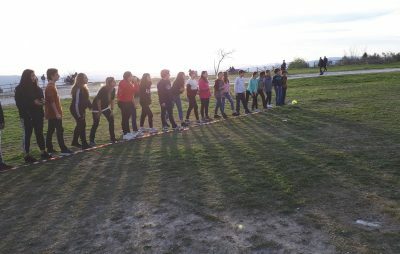 Below, some images of the celebration and of the party that followed.